A new trailer for Fantastic Beasts and Where to Find Them has been released at Comic-Con today, showcasing a lot more of the world it’s set in along with the magic and creatures that will be featured in the film. It’s the most detailed trailer we’ve seen so far and it really gives you plenty of information on what the film will be about. The trailer also features a lot of the magic in the film as well as the varied creatures that will be in it, and it all looks like it fits perfectly in the Harry Potter universe this film is based in. 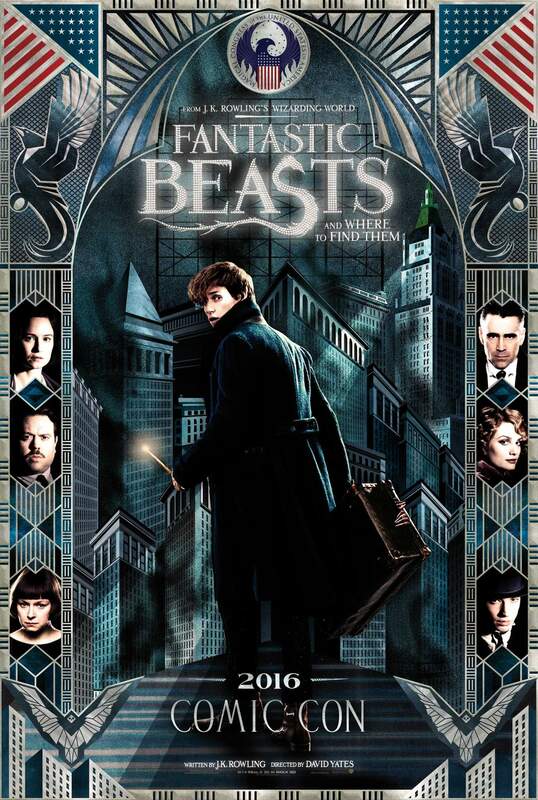 Fantastic Beasts and Where to Find Them is only a short way away, due out on 17 November 2016 in Australia and will likely be a huge box office draw. The film stars Oscar winner Eddie Redmayne in the lead role and is directed by David Yates who has a multitude of experience in this universe, having directed four Harry Potter films in the past. If you’re interest hasn’t been piqued by now, this is surely the trailer to get you there, check it out below along with the most recent poster also revealed at Comic-Con this weekend.